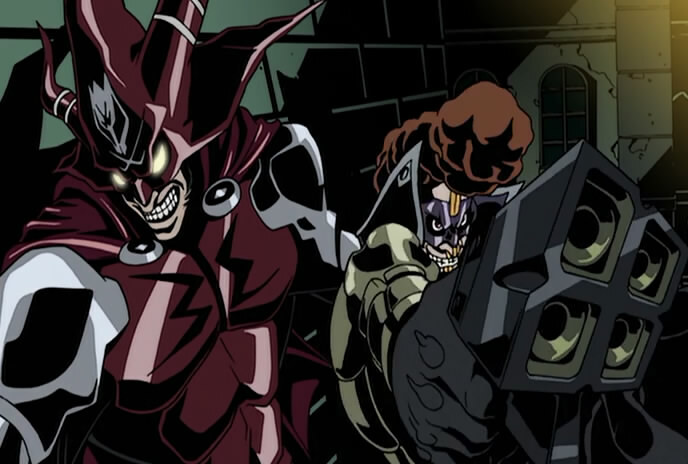 I’m adding the 2010 manga-adaptation anime into the sample of adaptation effects on their source material. Many, though not all, series show some degree of significant bump. Nitty-gritty data is collected here, and displayed below. An impressive 20 of the 26 series I looked at made the Oricon charts at some point, though one of them (Rainbow) ended before the anime began. One that didn’t, Seikon no Qwaser, is still running at 8 years, 18 volumes (it’s hardly the only series to run that long without charting, I’m just pointing out that manga can run for a long time without seeing the light of day chart-wise). Note: For High School of the Dead, both volumes 4 and 5 came out well before the anime, and volume 6 came out during its broadcast. The gap in time was so big that they came out before mal tracked numbers for series, only posting top 10 lists. I used the available 2008 manga data to approximate the average value, in volumes, of the #10 slot to get a rough estimate of the threshold. Even holding v4 and v5 to the maximum threshold from those weeks, the 130,000 v6 and 200,000 v7 it puts up post-anime is evidence of a significant bump. A little over a week ago, I wrote about how seemingly improbable this season’s Yozakura Quartet sequel was. It was anomaly, lacking any of the traditional indicators (profitable disc sales, TV ratings in excess of 3%, visible boost in the sales totals of the manga). Or at least it was until you look at the unique way in which the most recent series of OADs was marketed. As it turns out, the Yozakura Quartet OADs, though failing to chart, were very probably profitable. The makers made their dues by exploiting a bit of a backdoor in the niche anime industry: piggybacking on the much larger manga market. Update (Jul 1, 2014): This post doesn’t measure releases in 2-week totals, which turns out to be a huge deal in many, many cases. I’m currently working on an updated version of both this and the other 2011-2012 manga boost posts. Just be aware of that before citing the data from here regarding any one show. Some time ago, I published an article looking at how anime adaptations produced in early 2012 affected the sales of their source manga. 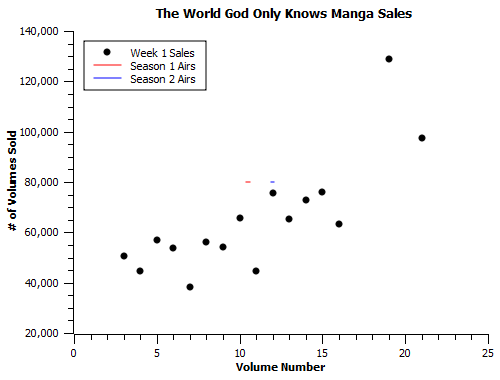 It was interesting data to take a look at, and it was interesting to see which anime really boosted the manga sales. Long story short, there are cases where a manga really jumps from mid-tier to franchise level (Space Brothers, Kuroko’s Basketball, Inu x Boku SS) soon after the anime airs, and cases where the anime doesn’t have much visible effect. It was very intriguing to look at, but it wasn’t a sample large enough to draw real definitive conclusions from. So I’ve recently been pulling sales records for manga that had an anime adaptation air in 2011, to get a better idea of how the two media are interrelated. This post contains the first half of that data, specifically the data for which I have specific totals from both before and after the anime first aired, and some observations on that data.